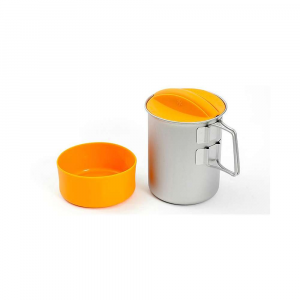 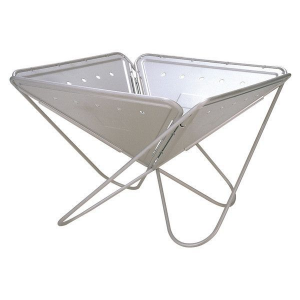 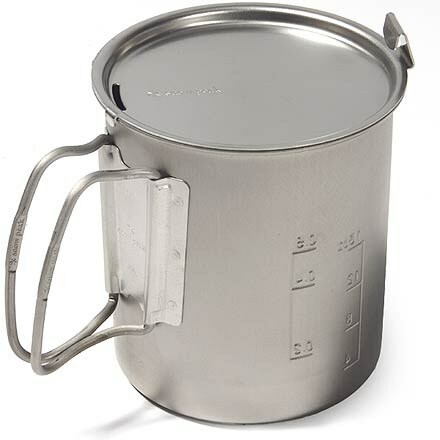 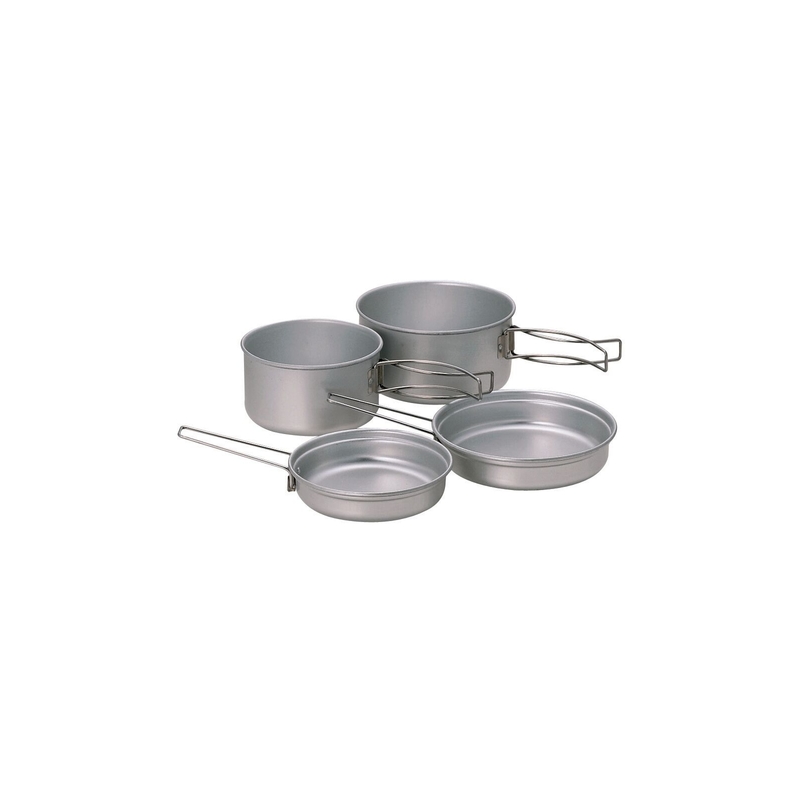 Snow Peak Camp & Hike Mountain Aluminum Cookset-1.5 L SCS201. 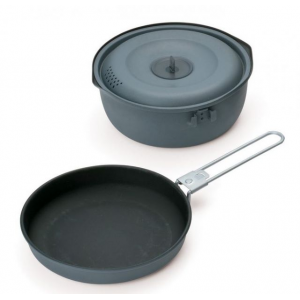 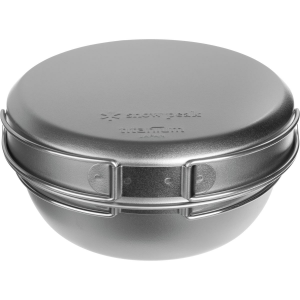 In your pack, the Snow Peak Mountain 1500 Aluminum Cookset holds your compact stove and two fuel canisters. 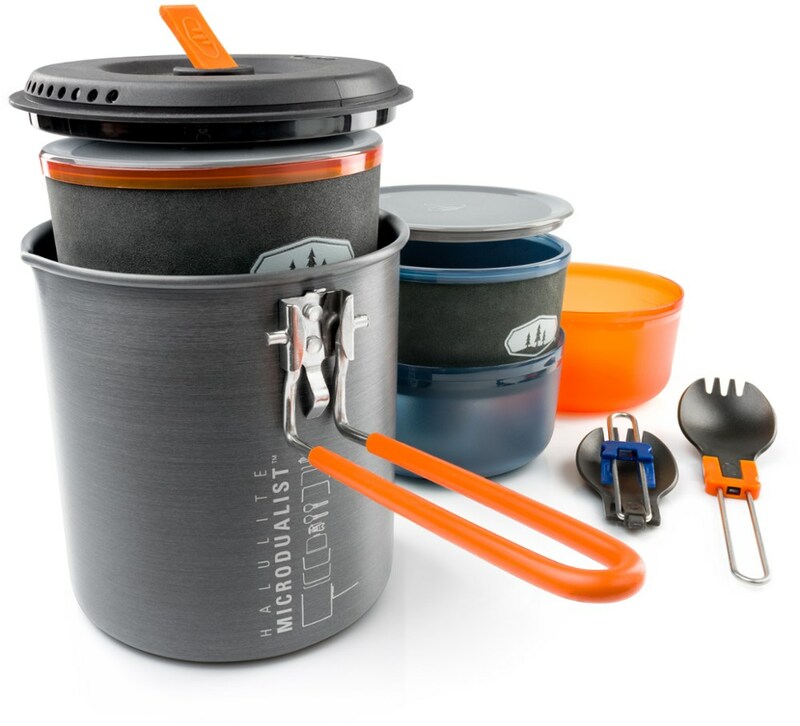 At your campsite it holds your world-famous gumbo.